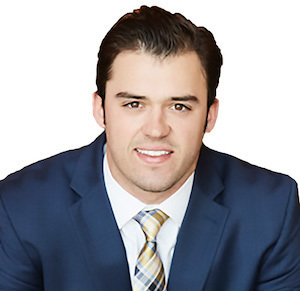 Dane Steinhagen is a licensed real estate agent on the John Zimmerman Team. He grew up in Beaumont, Texas watching his dad develop properties around Southeast Texas. When Dane's older brother started working in real estate development as well, Dane's interest in the field led him to Compass. Dane played collegiate baseball at Texas Christian University making it to the College World Series in Omaha in 2015 and 2016 where he was awarded All Big 12 and All-Tournament Team honors. He prides himself on his integrity, energy and hard work instilled in him by his family and coaching staff. In his spare time, he enjoys golfing, going to the ranch and supporting his TCU Horned Frogs.